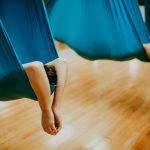 Yoga Generation is the only yoga studio in the Vancouver Lower Mainland primarily offering aerial yoga – yoga in a hammock! 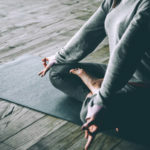 We also offer TRX, Hatha Yoga, Yin Yoga, Power Yoga and Prenatal Yoga. We are located on the corner of Glen Drive and Pacific Street, right behind Walmart at Coquitlam Center mall. Wonderful space! This is my favorite studio by far. The instructors are excellent and there is a good range of classes. The Aerial classes are really cool. 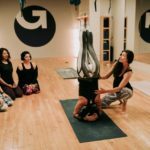 I would have never thought that yoga with a hammock could be so functional, but it is. And it can be very relaxing as well- I mean it is a hammock after all. This is the place to go for Tri-city yogis. Feeling awesome already after my first class tonight – Deep Stretch Yin! Very friendly staff from answering the phone to at the front desk at the studio. Very friendly and approachable Yoga guru. Feel very welcome by everyone including the regular goers. Very clean and tidy studio, lesson is well guided, nice ambience. I am back for more for sure, you gotta come here! 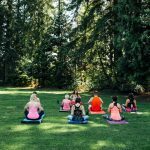 How Can Specialty Workshops deepen your Yoga practice?